The attack was expected by many, not the least of which was the small group of Americans inside the building. Still, the ferocity and organization of the assault was startling and confirmed their worst fears. For weeks, requests for reinforcements had come to naught. Situated deep inside a hostile foreign country as they were, their vulnerability should have been obvious to all. But inexplicably, no help was sent. The assault continued in waves throughout the day. Within a few hours of the firing of the first shots, the facility was aflame and the walls were breached. The remaining defenders were driven from the first building to a smaller one where they made their final stand, dying at the hands of pitiless intruders. The leader of the Americans was a young, charismatic, handsome lawyer who was liked by all who met him. In the weeks before the attack, he had personally requested more personnel to defend the facility. In the confusion of the final assault he had dreaded and tried to prepare for, he was separated from the group and died alone, a short distance away from the rest. Sadly, this situation should sound tragically familiar to Americans this month. The facts are eerily similar. Like the Alamo, a group of Americans, including Ambassador J. Chris Stevens, found themselves in an extremely vulnerable position deep inside a foreign country. Recognizing the risk, Ambassador Stevens, according to the Daily Mail, added his voice to the chorus of security personnel who had requested reinforcements over the past few months in an urgent cable sent on the morning of September 11, 2012. He was dead by the end of the day. On the morning of September 11, approximately 125 heavily-armed attackers moved on the consulate, and in the ensuing battle, Ambassador Stevens and three other men died. In 1836, the phrase “Remember the Alamo!” became an American war cry--as well as a tacit promise that no Americans will ever be abandoned to their fate while defending the United States. It appears, however, that some in the State Department have forgotten the Alamo. I have worked as the chief FBI investigator on a consulate attack (Karachi, Pakistan, June 14, 2002), and I know well the security threats of a consulate situated deep inside a country of hostile citizens, if not a hostile government. My team was threatened with a terrorist attack while in Karachi, and I know what precautions were necessary and I know what precautions were taken. I know that reinforcements were sent. 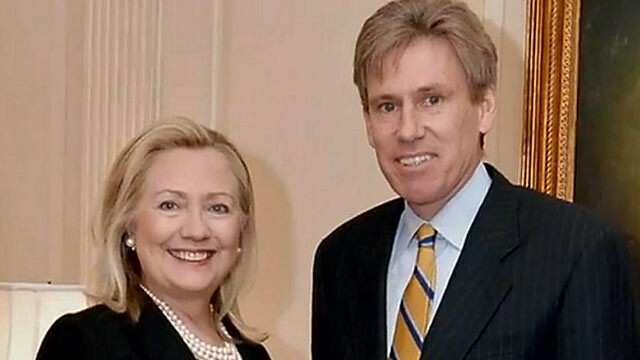 Make no mistake, the tragic death of Ambassador Stevens was unnecessary and avoidable. In 1836 Texas/Mexico, efforts were at least made to reinforce the beleaguered garrison. But the technology of the time, the weather and logistics conspired to defeat attempts to arrive at the Alamo in time. Benghazi’s requests simply fell on deaf ears. The events before, during and after the assault must be investigated and lessons learned. The actions of the State Department have raised many legitimate questions. And those questions must be answered. 1. Was security for the Ambassador adequate? Adequacy of security is easily evaluated empirically by its success or by its failure. It’s not a gray area. There is no other way to adequately quantify security. Security at the consulate is to protect the facility and the personnel, most importantly the Ambassador. In this case, the facility was sacked and burned; the Ambassador and his security team were murdered. The result could not have been worse. There can be no other conclusion but that security at the consulate was tragically, cruelly and negligently inadequate. To assert anything else is self-delusion. Due to State Department decisions, the odds against the Ambassador and his team were insurmountable. They were, for all intents and purposes, abandoned to their fate. The multiple decisions to deny security to Benghazi’s American personnel were made NOT by State Department security people with boots on the ground in Benghazi; they were denied by State Department Executives sitting in air conditioned offices in Washington, D.C.
Really Ms. Lamb?? Do you think you'd get an Amen from the late Ambassador Stevens? 2. Who is responsible for the inadequate security at the consulate? Easy. The State Department. This is one of the few facts State's executives are not denying. Now, it is left only to determine who ignored the frantic pleas for more security and to ensure that such a dereliction of duty never recurs. 3. Why was added security not given? This is an open question. It is almost incomprehensible that no further security was provided. This must not be skipped over, sideswiped, or swept under the rug. A decision made at State killed four brave men just as certainly as the fire in the safe-house did. As an FBI counter-terrorism supervisory agent, I remember vividly the frustration of working with the State Department not only in Karachi, but in Indonesia and other unstable countries. The problem was not usually with the State Department Regional Security Officers (RSO’s), who by and large were brave men and women who were fighting the same bureaucratic battle as the FBI, but it lay with the ambassadors and the Washington “suits” who were making decisions for us on the exact opposite side of the world. I know that frustration well. 4. Why were the initial reports to the press and to congress by the State Department untrue? The reports made by high State Department officials were not simply mistaken, they were demonstrably false at the time they were made. They reported situations that were plainly fabrications, and held on to those stories for days after they were disproved in almost every way. Even today, Leon Panetta, Secretary of Defense, states that far from unorganized mob action as sworn to by State, the attack instead was "clearly" planned and conducted by terrorists. While Panetta concedes that it “took a while” for information to be gathered which resulted in that conclusion, it does not explain why the State Department was reporting almost immediately facts that had no basis in reality. If it “took a while” to learn that the assault was a planned terrorist attack, why did State allegedly know “immediately” that riots and demonstrations (which did not occur) were going on at the consulate prior to the attacks? As horrible as the deaths in Benghazi were, I am just as horrified by the apparent attempt by the State Department to protect themselves rather than allow others to learn from their mistakes, and thereby protect their own people. 5. Why was the FBI investigative team held in Tripoli for three weeks, and who made that decision? When the FBI responds to an attack against American interests overseas, it deploys an “Extra-Territorial” investigative squad. These are sometimes known as “Fly Teams.” There are only a handful of these squads in the United States, the most notable being based in the New York, Washington, DC, and Los Angeles offices. I created the Los Angeles Extra-Territorial Squad and was their first supervisor. In that capacity, my squad and I responded to attacks against many US assets around the world, including the 2002 car-bombing of the U.S. Consulate in Karachi, Pakistan. Each ET squad is backed up by an FBI Rapid Deployment Team (RDT), consisting of crime scene and evidence collection experts, intelligence analysts, bomb technicians, weapons of mass destruction experts, SWAT team members for security, and various other specialty agents who would be needed at the site of a terrorist attack. The ET squad runs the investigation. In my time as the ET squad supervisor, one of my biggest jobs was simply to ensure that the FBI could gain access to countries and terrorist crime scenes. I found that among all of the many impediments to access to crime scenes and successful investigation in foreign countries, the biggest impediment was almost always the US Department of State. On June 14, 2002, a car bomb was detonated outside of the consulate in Karachi, Pakistan. 12 people were killed, and 51 injured. My team was deployed immediately, but we were stunned to find that we were limited by the State Department to four investigators. Total. When operating overseas, the FBI must obtain “Country Clearance” for its agents from the State Department, and the number and location of the agents are strictly governed by State. Four investigators were in no way adequate to investigate a case on which the bomb scene itself was almost a half-mile in diameter. In that situation, the State Department cited the “political sensitivities” of the Pakistani government for its devastating investigative limitation. The FBI team was protected at Karachi by approximately 10 members of a deployed U.S. Marine Corps “Marine Expeditionary Unit (MEU).” However, at one point during the FBI team’s investigation in Karachi, a real, actionable threat against the FBI team and the Marines was discovered. At the time, there was little thought of evacuating, and the decision was made to remain on site and conduct the investigation. The restrictions on the FBI investigation of the Benghazi consulate attack in Libya have raised troubling and broadly unresolved (yet easily answered) questions. A three week delay in reaching the crime scene compromises any serious chance of finding certain types of evidence. 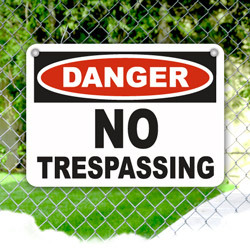 A three week delay in reaching an unsecured site compromises the probative value of any evidence recovered. In short, a three week delay in reaching an unsecured crime scene devastates any chance of an effective forensic investigation. A. Was the decision to detain the FBI team made by the Libyans? Unlikely. 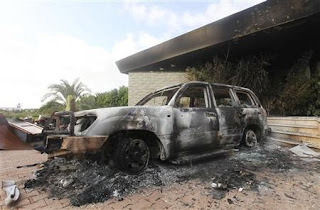 The Libyans are in no political situation to dictate U.S. government actions in the country at this time, especially when an ambassador has been killed by Libyans. B. Was the decision to hold the FBI team in Tripoli made by the FBI? No. This would not be in character for the FBI; especially the current FBI. Director Robert Mueller is a former Marine who has shown no tendencies to be overprotective of his agents overseas. His management style with the agents has been characterized as “damn the torpedoes, full speed ahead.” Mueller is not one to let the risk to agents keep the FBI from conducting important investigations, especially the murder of a U.S. Ambassador. It is not in his makeup. It is also not in the makeup of ET teams to do anything but chomp at the bit to get working on scene. And a Marine Expeditionary Unit (MEU) of adequate size to protect the investigative team could be quickly deployed. C. Did the CIA make the decision to keep the FBI away from the Benghazi consulate? No. That assertion is almost silly. Never once has the CIA posed any objection to a full and complete investigation of these attacks. The FBI would never divulge CIA operations of which they became aware during an investigation. I know because I personally have conducted investigations at facilities overseas where the CIA operates. That the CIA is present at a location is not germane to the investigation or the subject of attacks against U.S. facilities. The CIA is not responsible for security at embassies or consulates; the State Department is. And State would scream bloody murder (pun intended) if CIA tried to keep the FBI out of an investigation of the killing of one of their own. Sadly, dozens of times over the last few decades, State Department personnel have been murdered, many in facilities where CIA operations “may” be occurring. In fact, in every situation in which I have been involved, the CIA has been an invaluable partner in the investigation. The assertion that the CIA kept the FBI out of Benghazi is simply the latest in an epic series of misstatements about the truth of this attack and its investigation. D. Did the State Department make the decision to keep the FBI away from the Benghazi consulate? In my years of overseas experience, this is the only plausible explanation. During my investigative work overseas; travel, lodging, logistics and governmental contacts were all controlled by the U.S. State Department. In fact, frequently they attempted to control FBI investigations. They seemed at times to resent the presence of others in “their” turf. The questions about inexplicable actions in Benghazi before and after the attacks of September 11 MUST be answered and the State Department held accountable for their actions and their inactions. The House Foreign Affairs committee has held hearings twice in the last three months on State Department inaction in the case of Americans held illegally overseas. I testified at both hearings, yet the State Department declined to appear and answer questions or even defend themselves from criticism on both occasions. Secretary of State Hillary Clinton has now taken responsibility for the failures of security in Benghazi. Fine. And what will be the action taken against the person responsible? In any high government position, if a mistake is made that costs millions of dollars, the person is routinely sacked or resigns. If an entire facility is destroyed because of mistakes, the sacking and resignation usually occur more quickly, and congressional investigations occur. But now we have a situation where an entire facility is destroyed, millions of dollars is lost, the State Department is humiliated, lies are told, and four good men, including an Ambassador, have died violently. So I ask, what action is the government going to take against the person who has admitted responsibility? Saying, “I take responsibility,” isn’t the end. It’s the beginning. If action isn’t taken, it says to the American public that the men who died weren’t worth the job of the Secretary of State. You don’t leave a person in office who makes those kind of mistakes. Taking no further action in this matter will be tantamount to a cover-up. The kind of people we send to out of the way places like Benghazi, or who flocked to defend the Alamo are the type of people whose bravery we sometimes don’t understand. These are the kind of people for whom personal responsibility is paramount. These are the kind of people who put their put their lives on the line (let alone their career) for what they believe in. This is not a common mindset in Washington. Sadly, a more common Washington mindset is the frequent State Department “circle the wagons and protect the guilty” mentality that not even armed Libyans can pierce. Group cowardice is a formidable wall. The State Department executives in Washington who are responsible for the safety of their own people in Benghazi may not know how to keep an Ambassador alive, but they never neglect adequate protection for themselves. "I'm here for you Chris. And by 'here,' of course I mean here in Washington, DC. Just let me know if you need anything....."